Under the savvy direction of dynamic radio personality Amanda Wilde, WildeWorld provides consultation services, voice talent, and production: a scope of music-related services compelling enough to satisfy a broad range of clients, yet flexible enough to serve your highly specific needs. By special request we offer custom playlists. 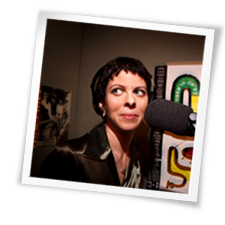 Hear Amanda herself in radio work: produced pieces, live segments, and demos. You'll see why – from her own distinctive voice, to advice on content for stations and music sites, from top to bottom podcast production – Wildeworld tops the charts.